Create a List files menu item (it does not necessarily need to be published, you can unpublish it if it does not fit your needs). Edit the menu item and head to the Advanced Options tab. Set up the Ordering and Direction as you need to have them displayed by the System Plugin. Head back to the Details tab and copy the content of the ID field. 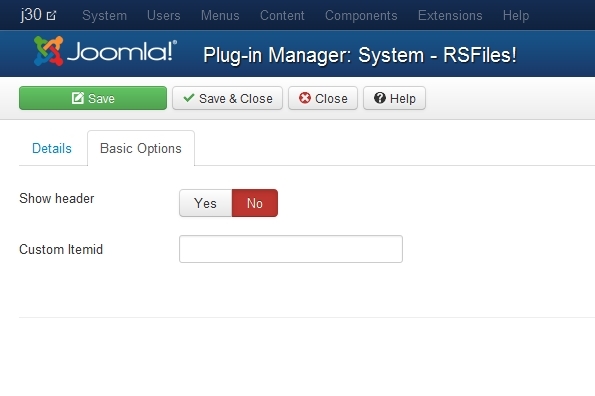 Go to Extensions >> Plugin Manager and edit the System - RSFiles! plugin. Paste the previously copied ID in the Custom Itemid field. By applying these settings, the System - RSFiles! 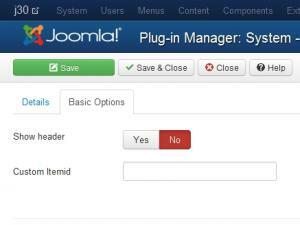 plugin will inherit the ordering options from the List files menu item. How to play audio or video files?